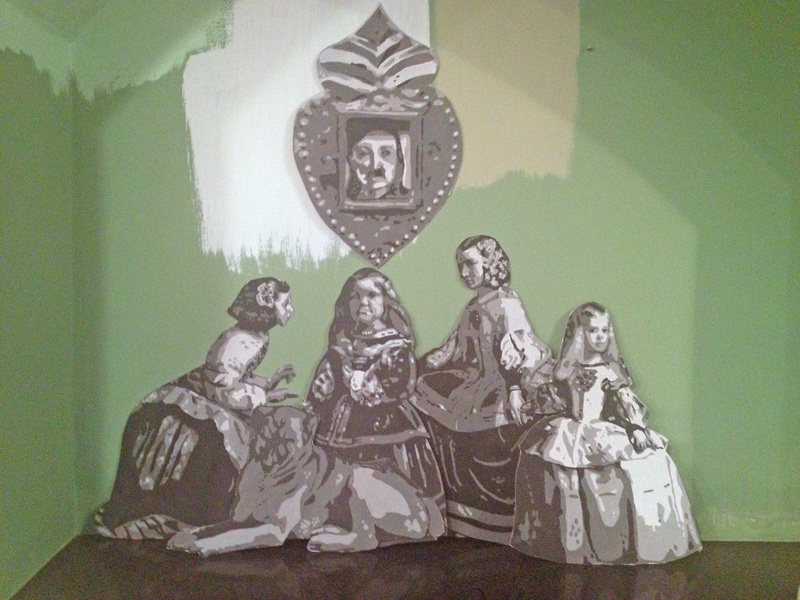 Cardboard cut out paintings of Velasquez’ Las Meninas. 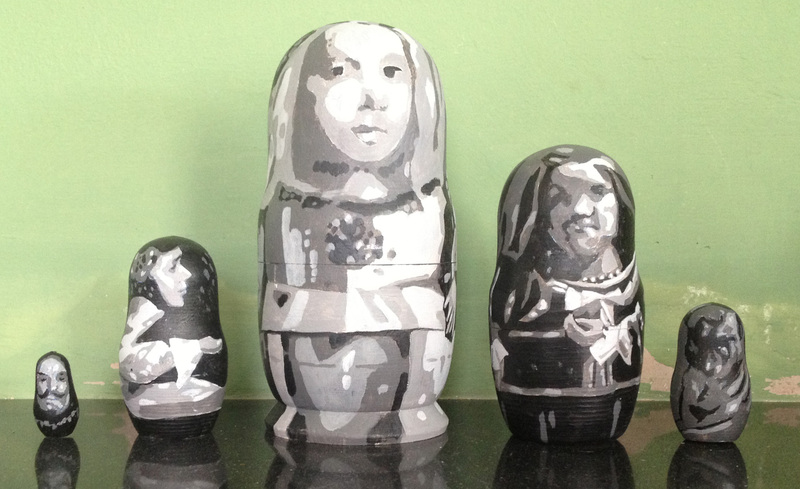 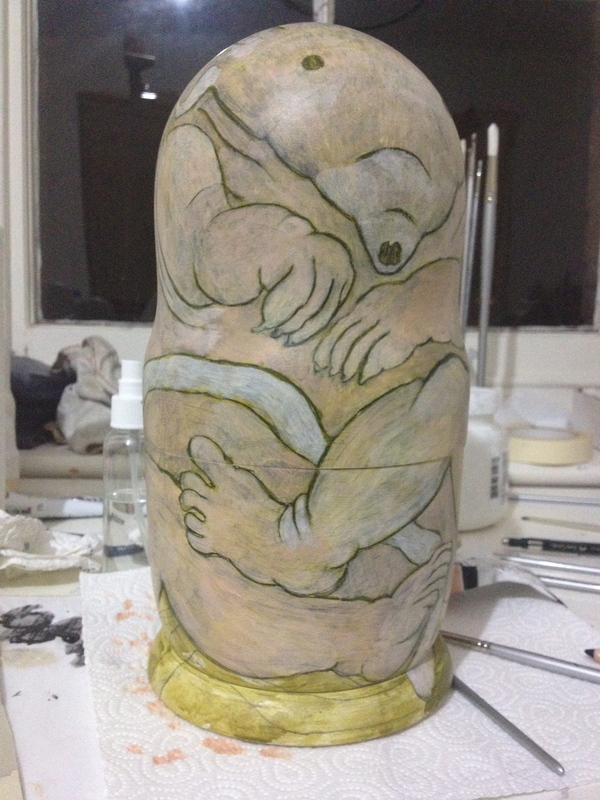 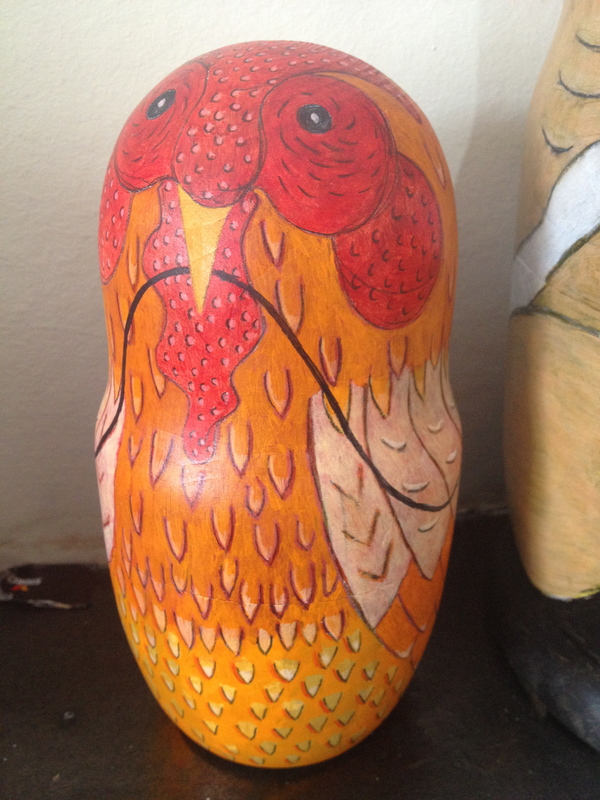 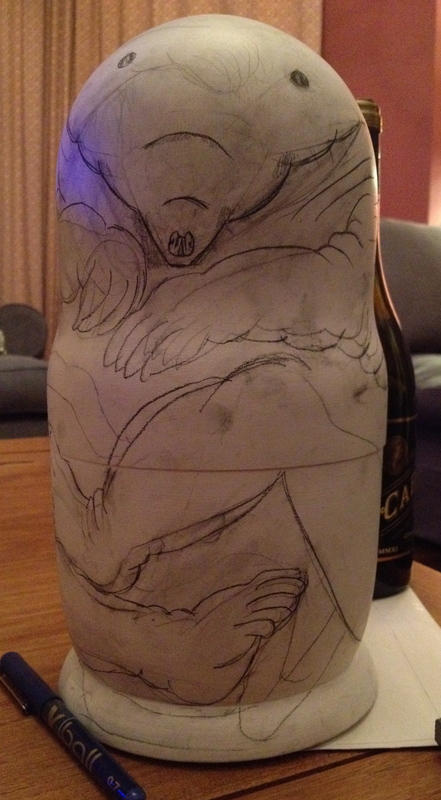 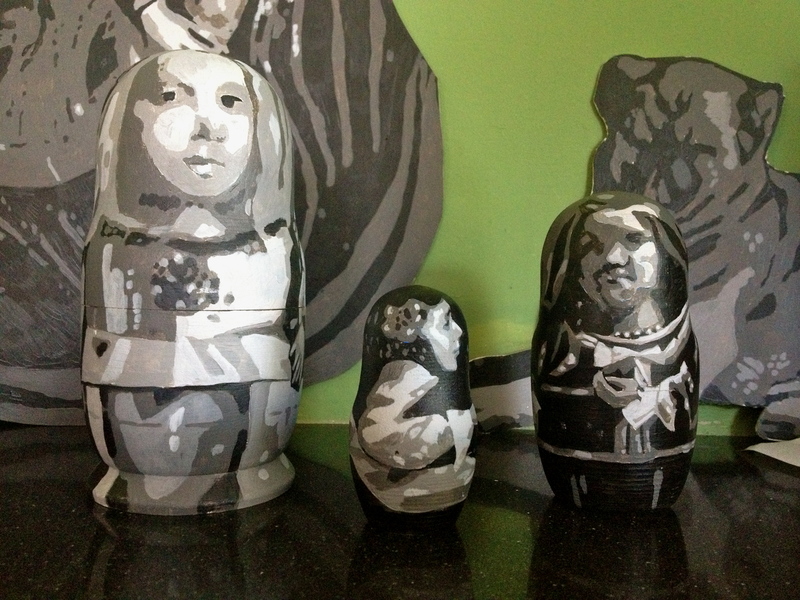 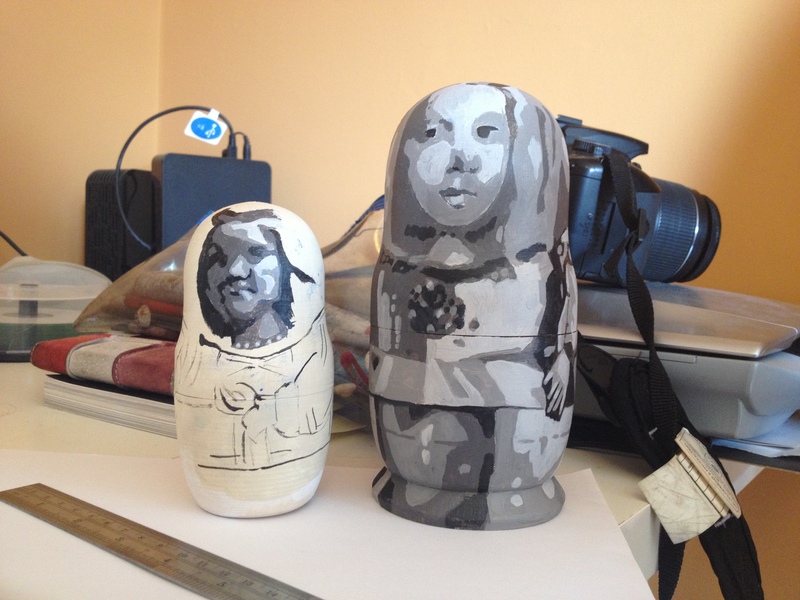 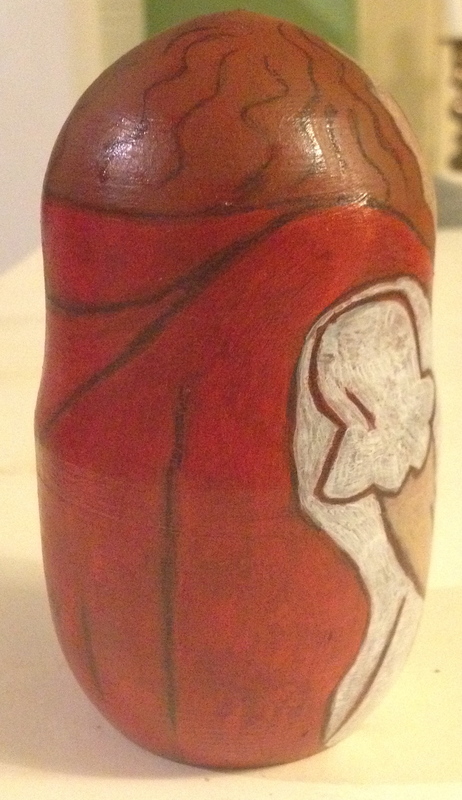 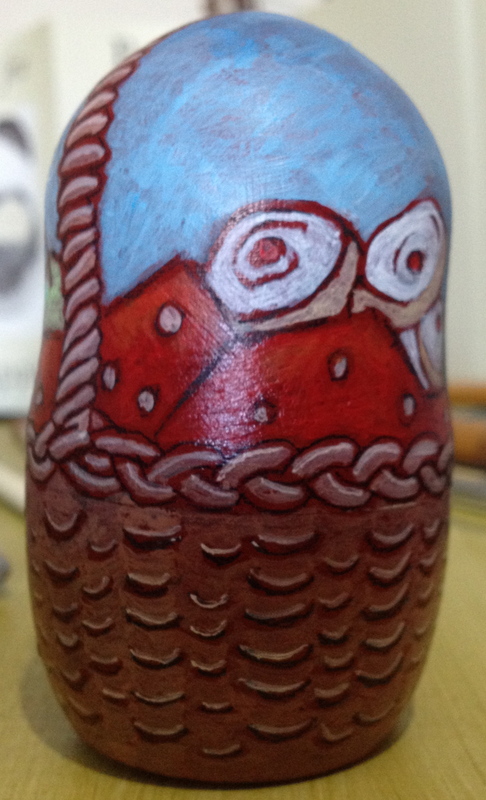 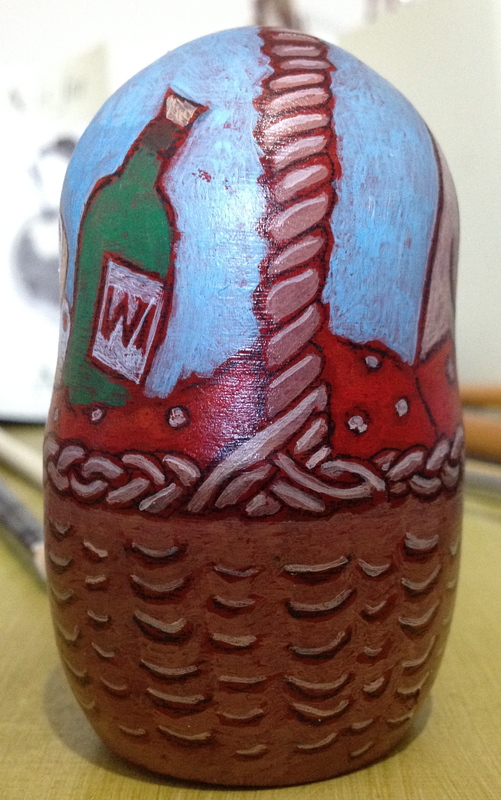 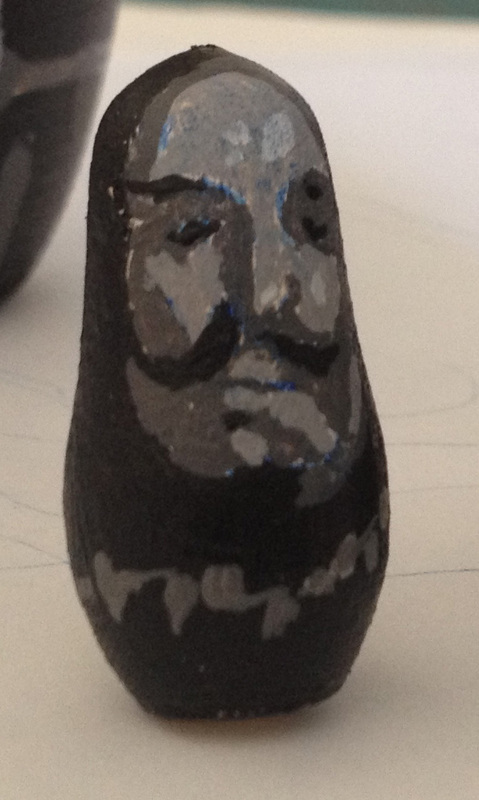 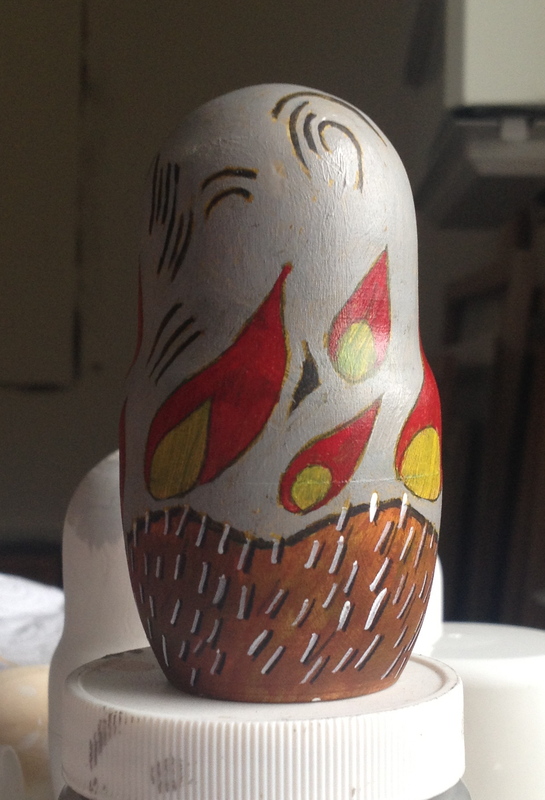 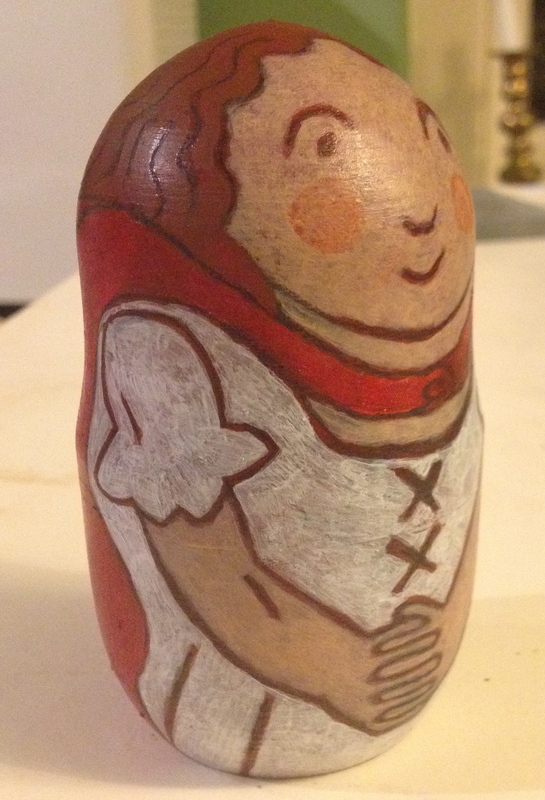 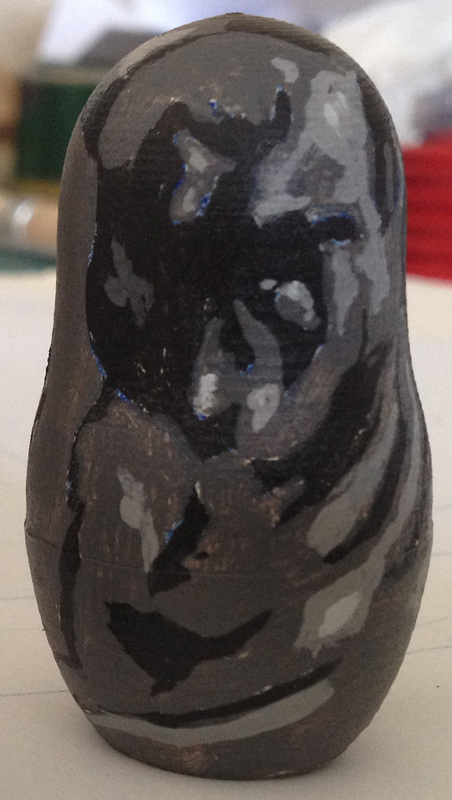 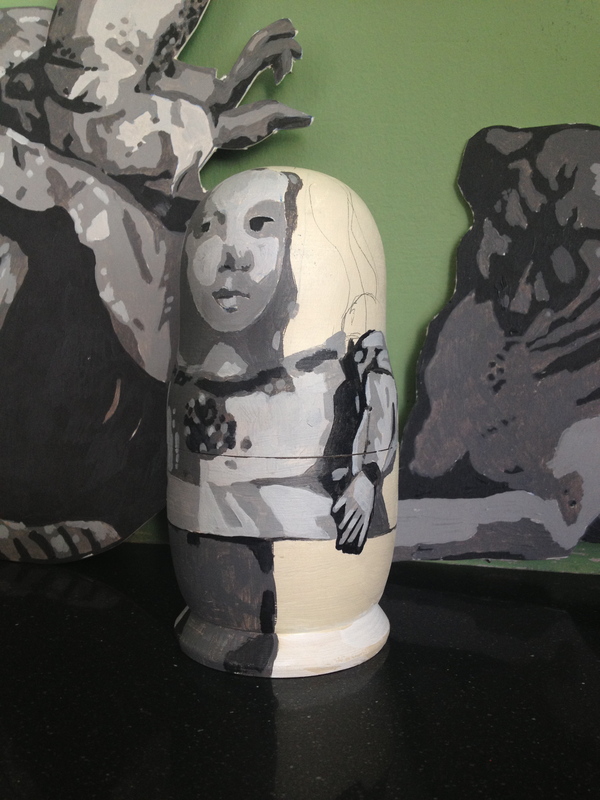 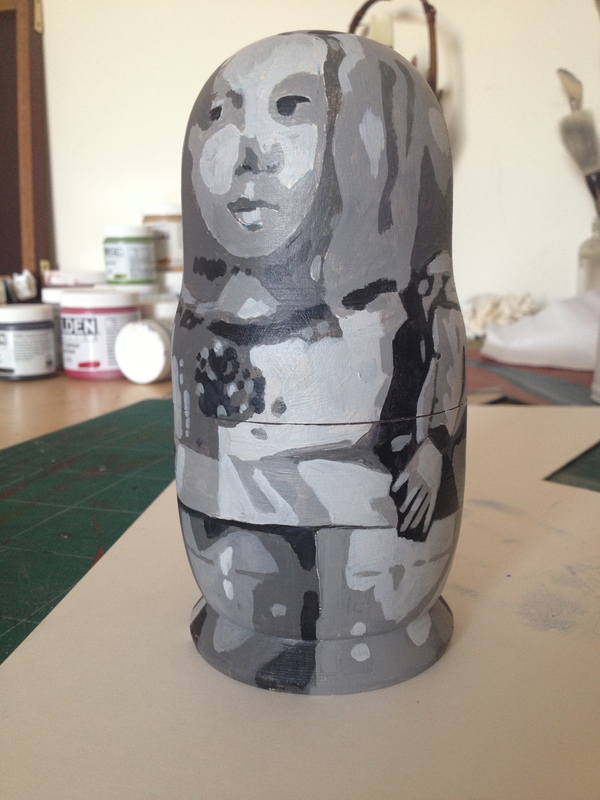 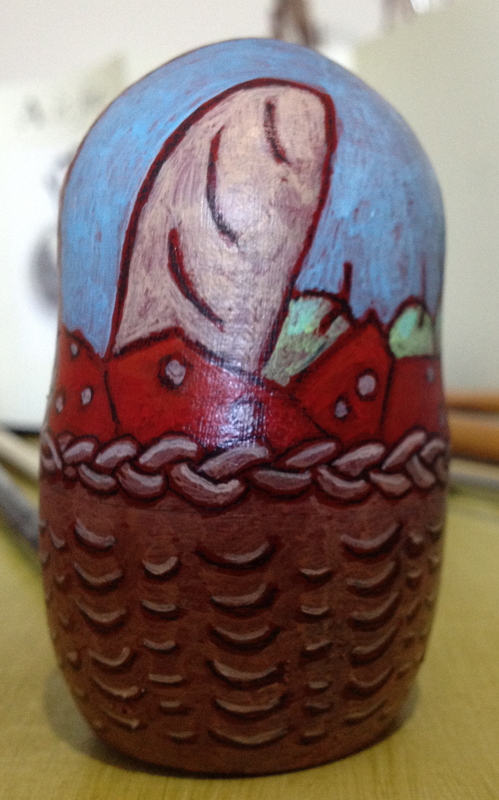 Russian dolls in the process of being painted. 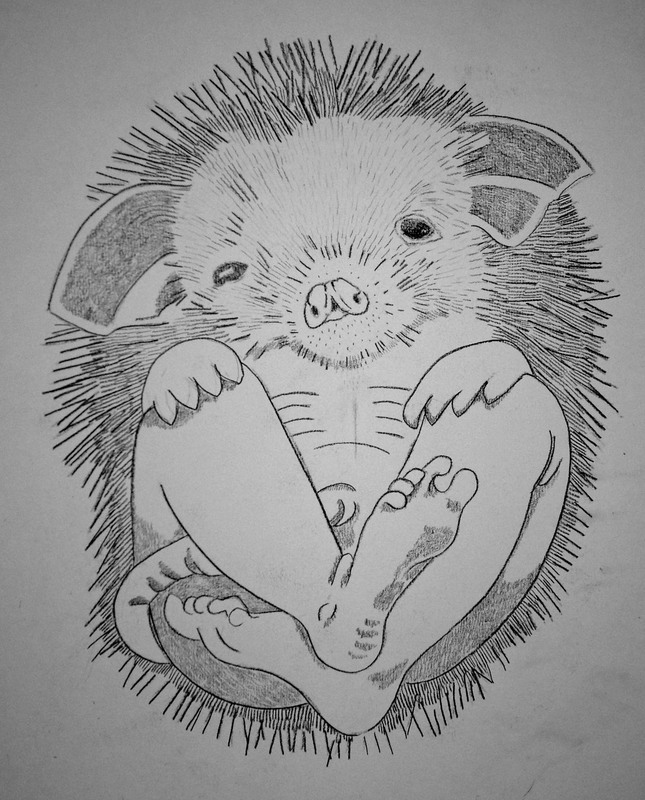 Hans realises he is half hedgehog, half boy. 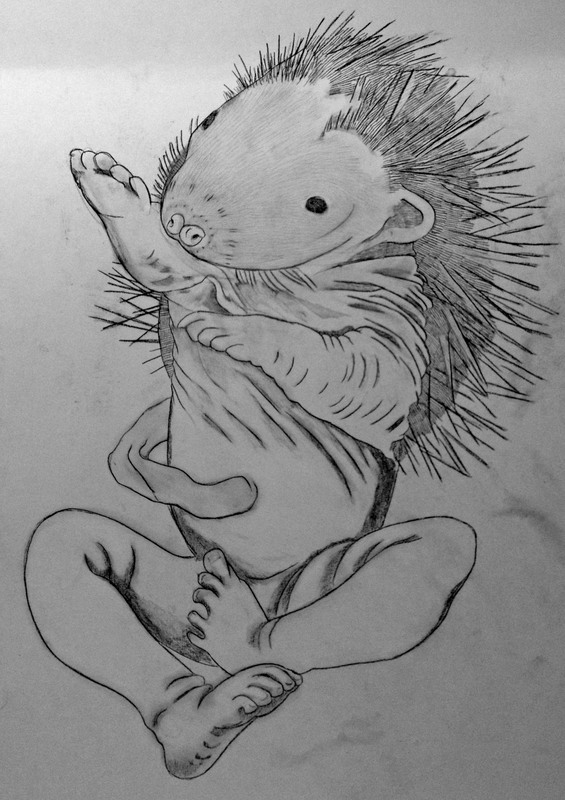 Hans-My-Hedgehog pulled off her beautiful clothes and stuck her with his quills until she was bloody all over. 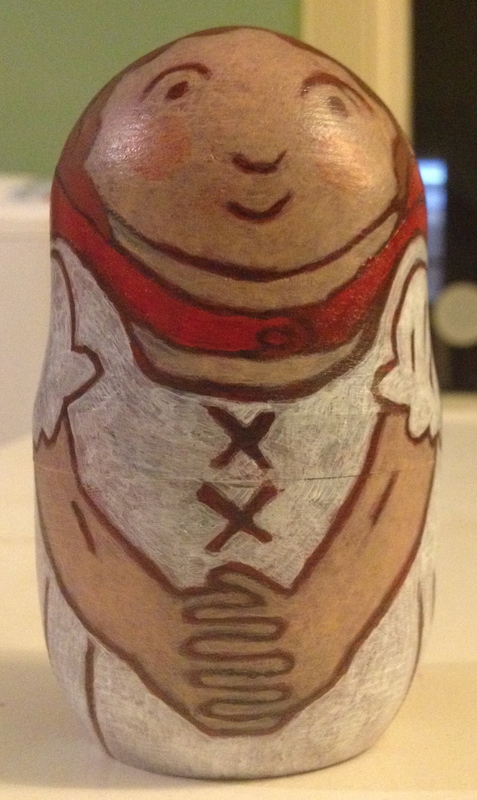 “This is the reward for your deceit. 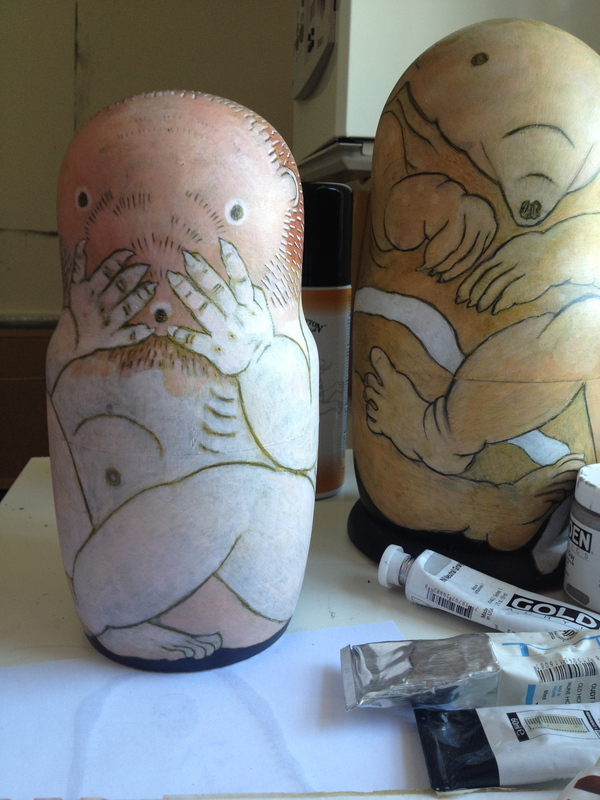 Go away. 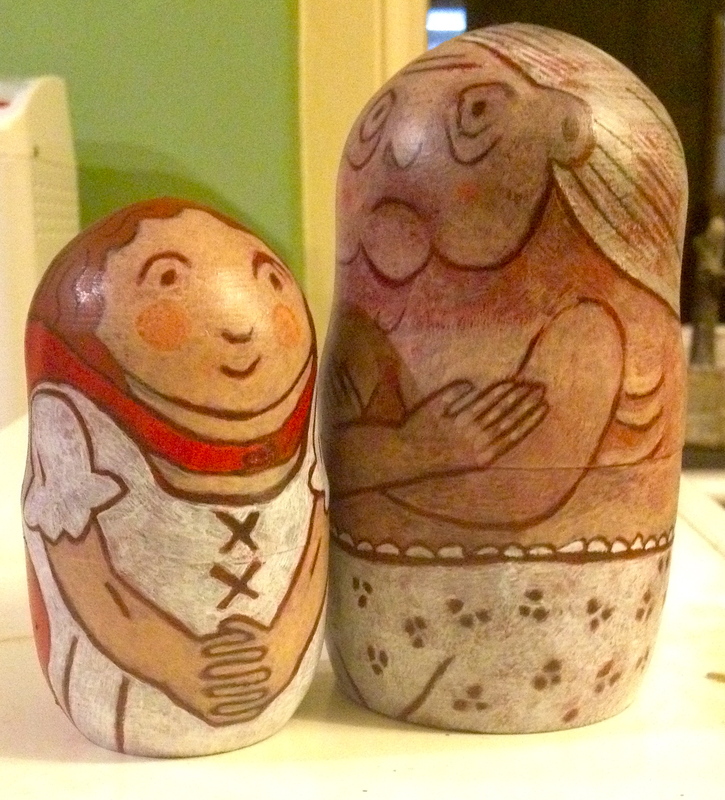 I do not want you.” With that he sent her back home, and she was cursed as long as she lived. 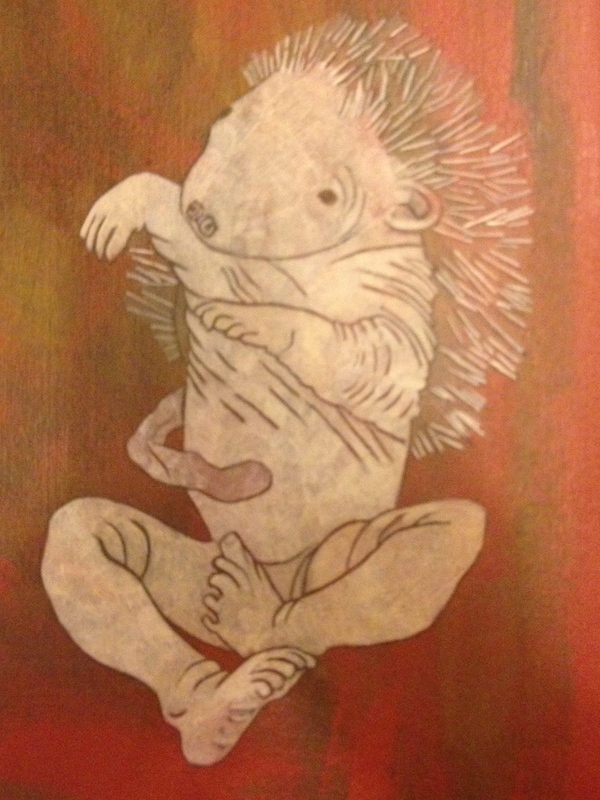 He took off his hedgehog skin after going into the bedroom, and before getting into bed. 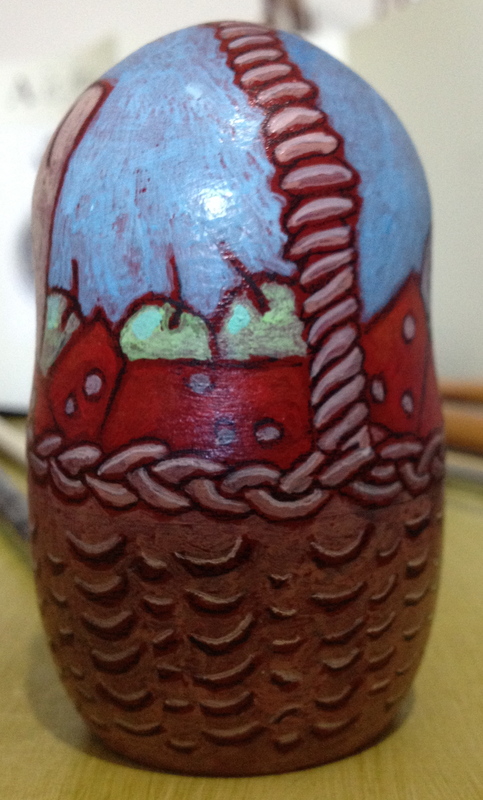 The men immediately picked it up and threw it into the fire, and then stayed there until it was completely consumed by flames. 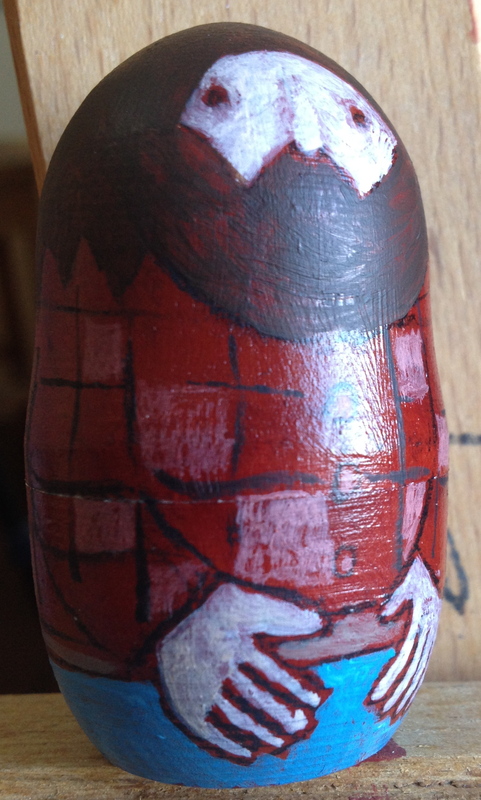 When he cut her bindings and she told him what happened, he took his hunting knife from his pocket and cut the wolf’s belly open to rescue Little Red Riding Hood. 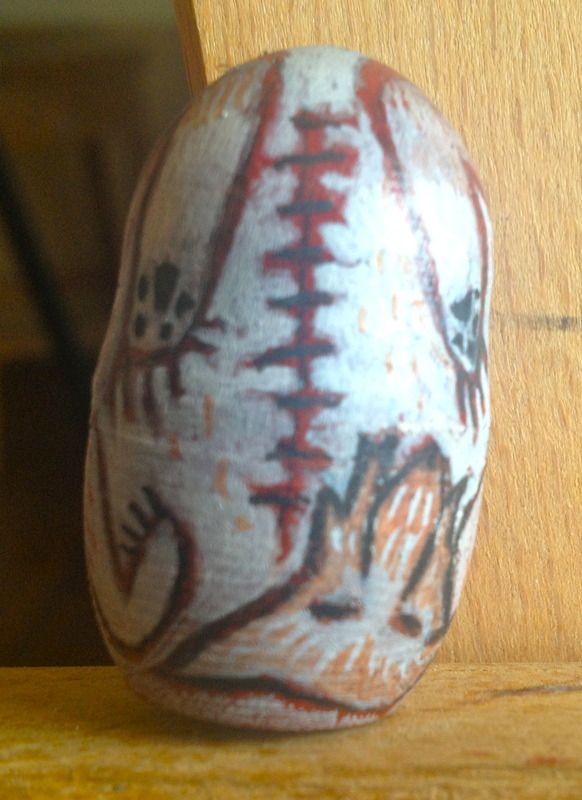 While the wolf slept, they all filled his empty stomach with stones and sewed his stomach shut again.